enabling many people to be tracked over large areas in real time. as a starting point for exploring group interaction with digital environments. Compare it with other technologies. Read our overview of how OpenPTrack works for more details. Interaction involves more than just fingertips, and computers can be more than “personal.” Artists working across disciplines and cultures have been experimenting with the Microsoft Kinect and other sensing devices to create new forms that use body movement as an interface to digital artworks. OpenPTrack takes this one step further by allowing networks of imagers like the Kinect to be used to track the positions of groups of people in real time, while also recognizing their poses and tracking objects. The platform is being developed to support artists as they expand upon trends and existing capabilities—with robust real-time, multi-person tracking. 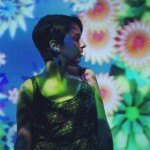 Built on a platform of accessible tools (motion sensing input devices, cameras, general-purpose computers and open source software), the OpenPTrack project aims to foster new models of synaesthetic expression within the performing, visual and interdisciplinary arts. 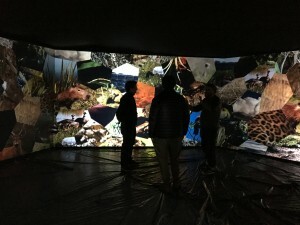 Whorl by Damon Seeley, Eitan Mendelowitz, and David Glicksman was the first third-party interactive artwork created with OpenPTrack, installed at the UCLA Interpretive Media Laboratory‘s space in Downtown Los Angeles (video of the experience, below). OpenPTrack was also used for Esteros del Ibera (EDI), an interactive installation that allowed groups of visitors to explore the landscape of Argentina’s Ibera Wetlands. A collaboration between UCLA REMAP and cheLA, EDI was built at cheLA’s Buenos Aires complex, and premiered at Tecnopolis, the largest exhibition center in Latin America for science, technology, industry and art. REMAP and cheLA’s Laboratorio de Interactividad Corporal is now developing new performance pieces by teams of choreographers, directors, composers, performers, writers, dramaturgs, media artists and designers using OPT V2 (Gnocchi) as the interface between movement and media. To use OpenPTrack in your own artworks, visit the Users page. To contribute to the OpenPTrack codebase, visit the Contributors page.